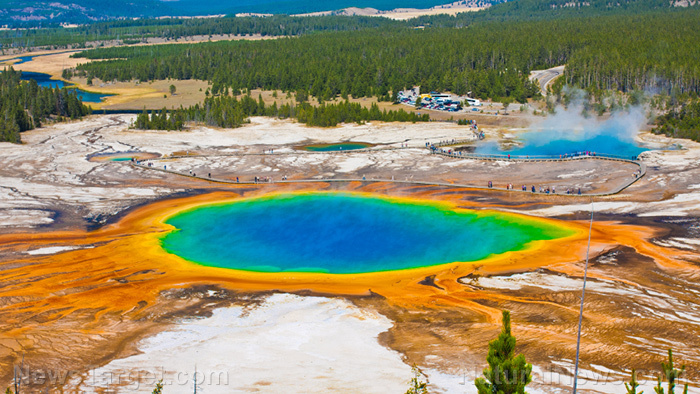 More than 400 recorded earthquakes have been recorded around the Yellowstone supervolcano in one week. The series of earthquakes began on June 12, with the most recent one occurring on June 19 with a magnitude of 3. According to scientists at the University of Utah, which monitors the Yellowstone Volcano, the epicenter of the latest earthquake was located 8.6 miles north northeast of West Yellowstone, Montana. The scientists also reported that the earthquake was felt in the towns of West Yellowstone and Gardiner in Yellowstone National Park, as well as in the surrounding region. Fifty-seven earthquakes in the magnitude 2 range. The UUSS also revealed that lower magnitude activities — including 238 earthquakes in the magnitude 1 range, 157 earthquakes in the magnitude 0 range, and six earthquakes with magnitudes of less than zero — also accounted for the apparent earthquake swarm. However, experts at the U.S. Geological Survey (USGS) downplayed the prospect of a large-scale eruption, stating that the current volcano alert level remains normal and that the volcano is in a non-eruptive state. The scientists also inferred that the chances of an explosive eruption is one in 730,000. “Yellowstone hasn’t erupted for 70,000 years, so it’s going to take some impressive earthquakes and ground uplift to get things started. Besides intense earthquake swarms (with many earthquakes above M4 or M5), we expect rapid and notable uplift around the caldera (possibly tens of inches per year). Finally, rising magma will cause explosions from the boiling-temperature geothermal reservoirs. Even with explosions, earthquakes and notable ground uplift, the most likely volcanic eruptions would be the type that would have minimal effect outside the park itself,” the USGS team reported in Newsweek.com. While the likelihood of a violent eruption remains small, a USGS report published in 2014 estimated the potential impact should the Yellowstone supervolcano erupt. As part of research, the scientists used eruption simulation models that enabled them to calculate the spread of ash across the continent. Large-scale ash deposits have been known to negatively affect food supply. For instance, the eruption of Mt. Sinabung in Sumatra, Indonesia in 2014 led to a wide-spread food shortage as ash deposits halted agricultural land cultivation. The eruption affected about 7,850 hectares of productive and arable land, the country’s Ministry of Agriculture noted.